Ultra high purity carbon rods are used for carbon evaporation in EM applications. Either to coat non-conductive samples with a thin layer of carbon or to produce support films for TEM samples. The structure of the carbon rods is in reality high purity graphite which is formed during the purification process of the rods. – Grade F-S which is the high-purity standard grade. This is the most common grade of carbon rods. The rods tend to be stronger and more brittle. Stepped points of this grade are best made with an electrical carbon rod shaper. 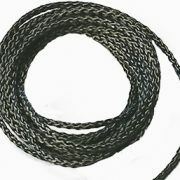 Available in Ø3.05mm (Ø0.120”) and Ø6.15mm (Ø0.242”) with a length of 305mm (12”). Compatible with carbon coaters from Cressington, AGAR, JEOL, Quorum, Leica, Edwards , Anatech (Hummer) and Denton. – Grade F-A which is a high purity softer grade. This is a softer grade and stepped points are somewhat easier to make from this grade, when using a hand carbon rod shaper. 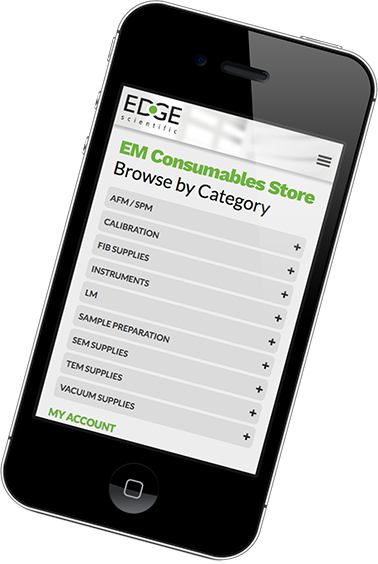 Compatible with coaters from Cressington (50Hz), AGAR (50Hz), JEOL (50Hz), Edwards and Denton.